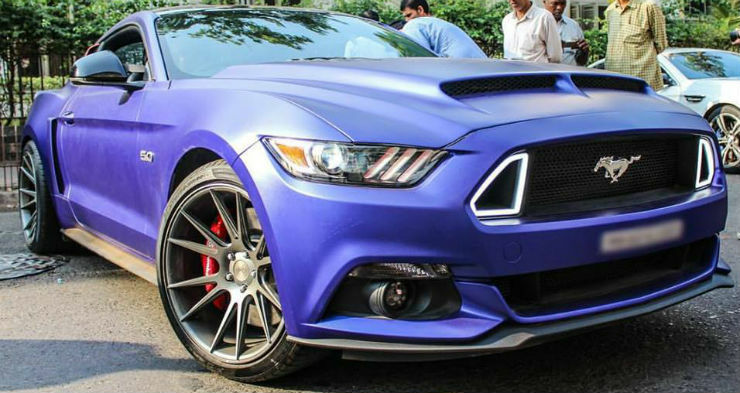 India recently got it’s first ever muscle car, the all-new Mustang. The first batch of Mustangs for India are already sold out. Now that the American muscle car has officially entered the country, it was only a matter of time before someone modified one. Here is it. Who’s is this lovely looking piece of all-American muscle? Rohit Shetty’s. Sounds familiar, right? Well, Rohit Shetty is a movie director, well known for his action-heavy Bollywood flicks. Apart from blowing up a lot of cars in his movies, the man personally likes fast cars. Well, he even customizes his rides, and this is something rare in the celeb world. The modifications were done by the D.A. Design House. To start with, the car gets a matte finish purple wrap all around that enhances the strong body lines of the car. The bonnet gets a strong looking air-intake scoop that makes the whole car look like it is on steroids. 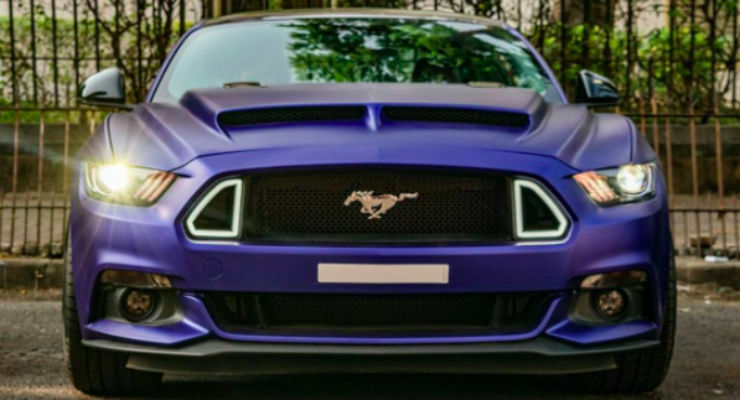 The front grille gets white inserts that focuses on the the famous “horse” logo of the Mustang. The headlamp DRLs get red accents. The car also gets bodykit with side-scoops on it that further takes the visuals to the next level. The car also gets fake air scoops in place of rear quarter window with red highlight on it. There are also new grey coloured forged alloy wheels and very low-profile tyres to go with them. 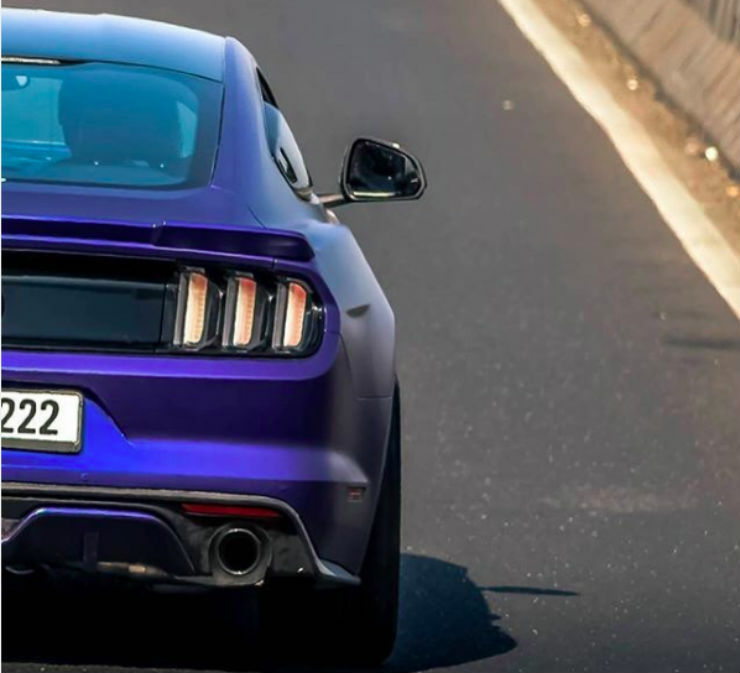 The rear of the Mustang has not been touched as it already looks aggressive as stock. The exhaust system has been upgraded to Borla exhausts. The engine of the Mustang has been left untouched, too. In India, Ford sells the Mustang in top-specification. It is powered by a massive 5.0-litre V8 naturally aspirated petrol engine that develops a maximum of 395 BHP and 515 Nm of maximum torque. The power figures have been retuned for the Indian market given the fuel quality available in the country. What other cars from the owner? Rohit Shetty is a major car fanatic and we can make that from the number of stunt scenes that involves cars in his movies. 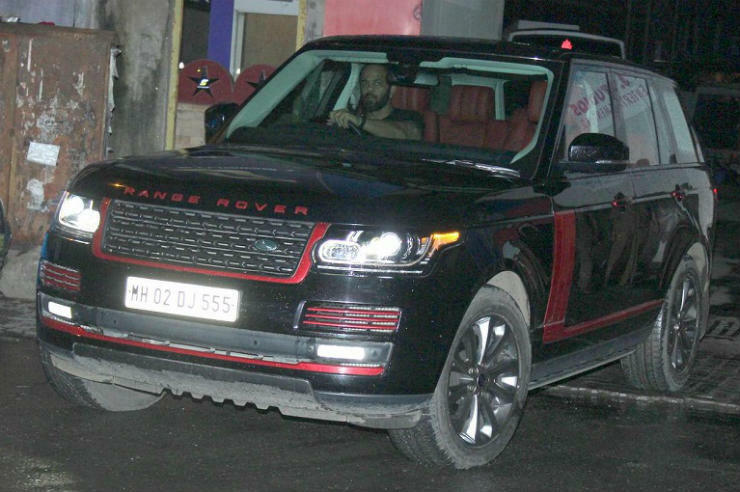 Rohit Shetty also owns a modified Range Rover Vogue that has red accents on it. The man surely knows how to be loud, be it through his movies or through his cars!